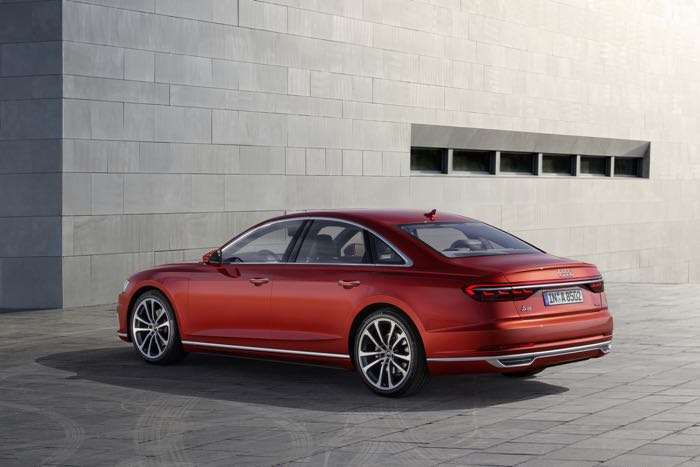 Audi has announced that it will start taking orders on its new luxury sedan, the Audi A8 from the 5th of October. Pricing fore the new Audi A8 starts at €90,600 for the standard A8 and €94,100 for the long wheel base version. There will be two engine options in Europe at launch, a 3.0 lite TFSI and a 3.0 litre TDI. The new Audi A98 will be one of the first Audi models to come with the company’s new naming scheme for different models. 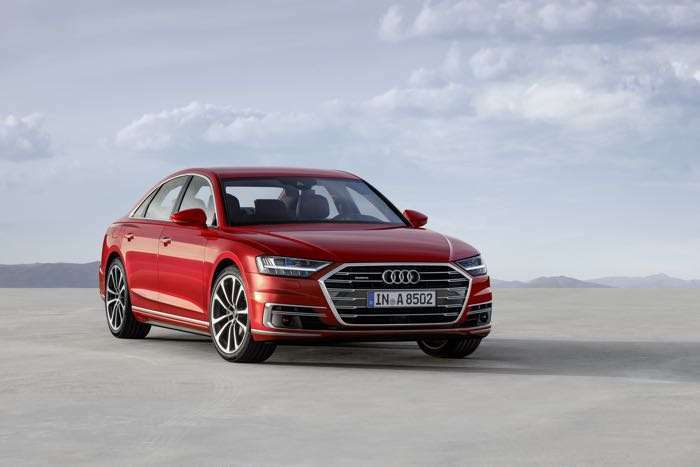 The diesel version will be called the Audi A8 50 TDI Quattro and the petrol version the Audi A8 55 TFSI Quattro. You can find out more details about the new A8 over at Audi at the link below, orders start on Thursday the 5th of October.